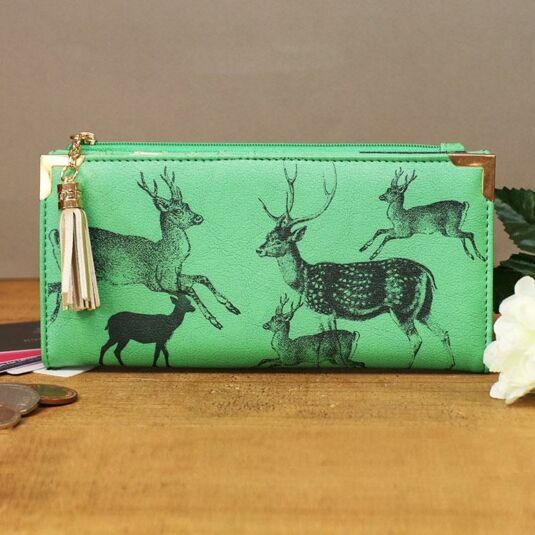 Make a statement and stand out from the crowd with this striking purse from the new Heritage and Harlequin range from Disaster designs. 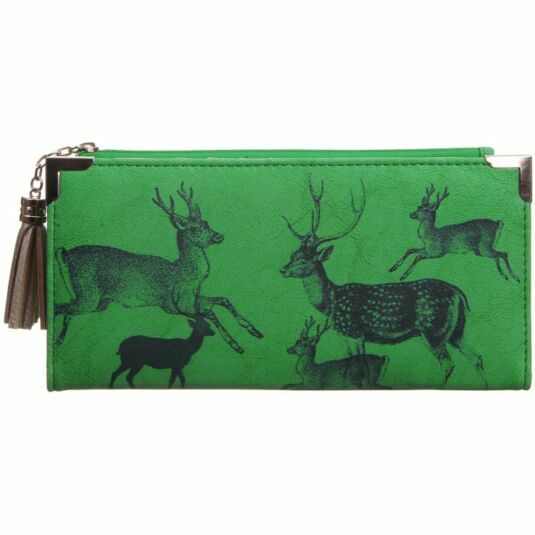 With a vibrant green background featuring detailed deer drawings, this purse (and you) are guaranteed to get noticed! 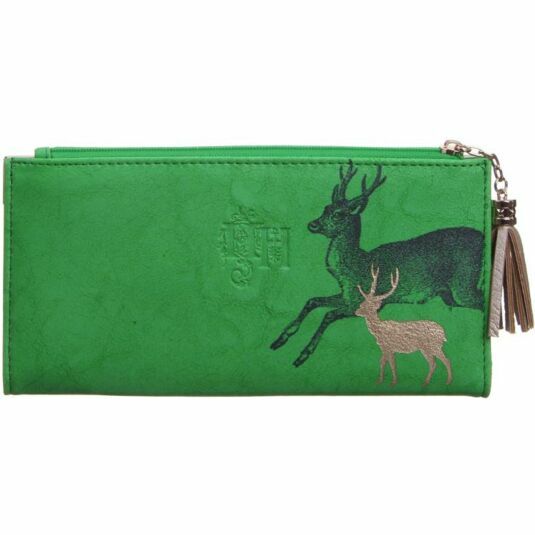 It is made from faux leather and comes with the Heritage and Harlequin logo embossed on the back. The corners have attractive gold detailing, and a golden zip with a soft gold tassel opens and closes a compartment for coins and pennies. Pull open the popper and you'll find nineteen (yes 19!) 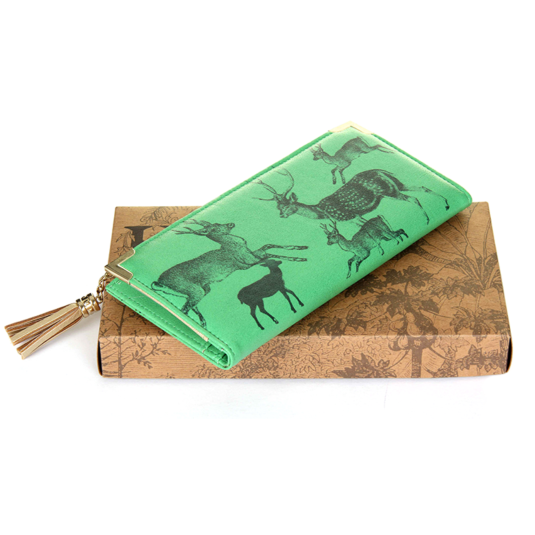 compartments for notes, bank cards, business cards, photos etc. There is also a clear slot for an ID card or a treasured photo. 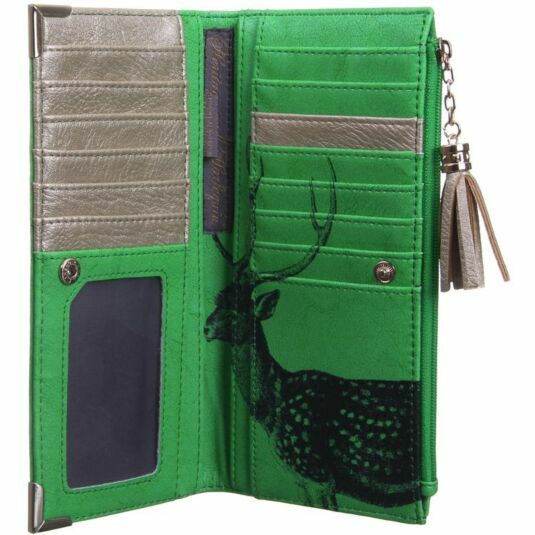 The inside is a matching green and soft gold colour. 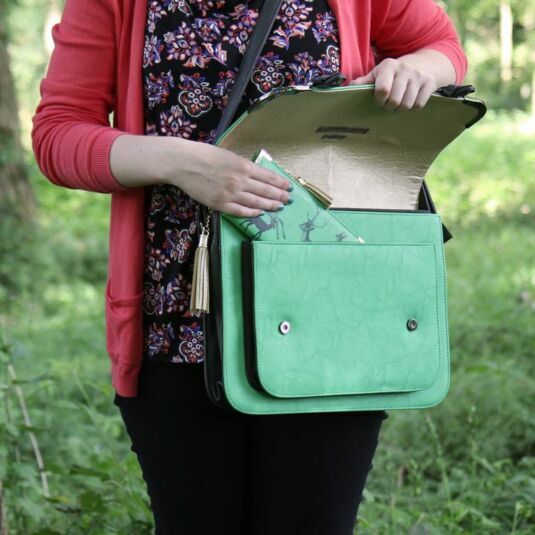 This purse is not only stylish but very practical too and the strong styling will appeal to fashionistas of all ages, from teens to mothers and grandmothers.